Are Electric Cars Always Greener? 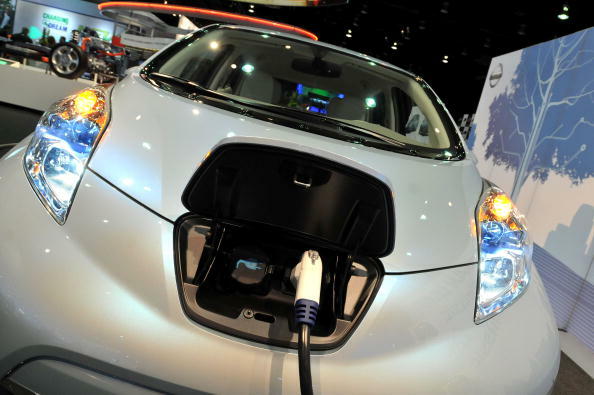 Electric cars have been seen as the solution to pollution and to the reduction of fuel consumption. The number of people who have become aware of their role in environmental issues has risen and by replacing their gasoline and diesel powered cars with electric ones they believe they are doing their part in terms of caring for the environment. But is the saying “electric cars are always green” applicable? A report signed by The Economist highlights the fact that up until a couple of years ago, there were just two electric models on the market. Now the number jumps higher than 20 due to the interest of the buyers. But the issue of utility becomes related to the way in which these electric cars are maintained (for instance the places where electric cars are used). These issues decide whether an electric car is more helpful to the environment than the ones who use gas or diesel as fuel. Well the most important question in this case is related to the manner in which the energy used is produced and the location in which drivers live (the local energy grid is an important factor here). A great example is represented by those who live in Washington. Since this state gets its electricity from hydroelectric dams owning an electric car is the best decision one could take in order to help the environment. But the difference becomes noticeable in the case of those who live in the southern areas. In their case the main source of electricity derives from coal, so adopting an alternative solution wouldn’t do them a world of good. However, it is safe to say that in what concerns the ‘generation-to-wheel’ CO2 emission cycle, electric cars offer the chance to reduce CO2 in the transport area. 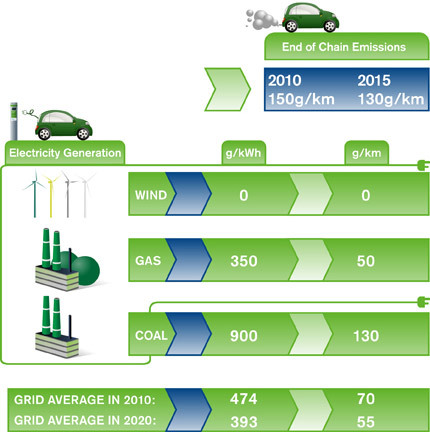 You can understand this process better by looking at the graphic below which shows that the electric cars emit half of the emissions given by a conventional car (70 g vs. 150 g CO2). Would you replace your car with an electric one? Do you think that electric cars are the solution of the future?